When Does an Investment Loss Become a Crime? County prosecutors have charged a Bremerton man with theft after some investors failed to see any returns from their investments with him. You might have read this story back in March. Basically, the investigators say the defendant didn’t pay back about $113,000 to four people who had bought into a plan to build ethanol plants, including one in Bremerton. Some of the commenters on the story didn’t see that as a crime — but rather simply a lost investment. I consulted Chris Casad, chief of case management for the Kitsap County Prosecutor’s Office, in an attempt to find out how this case is any different than, say, buying a bunch of stock and then seeing the stock price drop. Life’s only certainties, most of us know, are death and taxes. 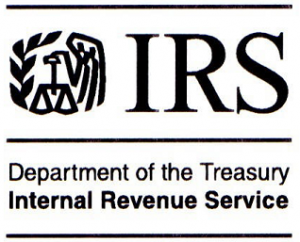 Yet around 1,000 people a year are prosecuted in the U.S. for “evading their income taxes, willfully failing to file tax returns, filing false tax returns in order to obtain inflated tax refunds and other such tax crimes,” explains Kenneth J. Hines, the IRS Special Agent in Charge for the Pacific Northwest. Prior to April 15 — “tax day” this year — Hines has issued a memo to help you avoid losing your life savings. Or worse — having the tax man come for you. At the sentencing of a Ponzi scheme orchestrator Friday in federal court in Tacoma, federal court judge Ronald B. Leighton used some of the time to lambaste society in general.